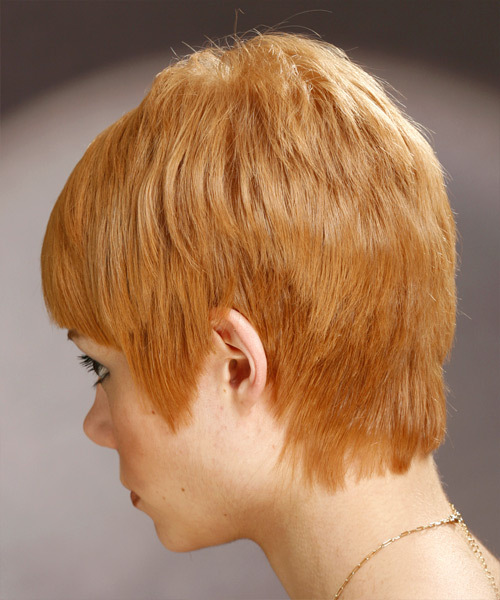 This is a funky 'do that is so easy to re-create. The top has been softly layered to create a full and even look around the crown, and the bangs have been solid cut and left thick. This style is perfect for those on the move who have little time to style their hair. The Sides: have been cut and shaped around the ears for a softer finish. The Back: has been taper cut and shaped softly and neatly around the neck.